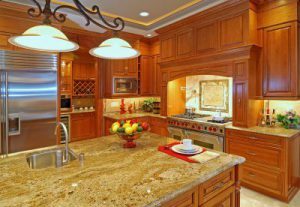 And, as a full-service home remodeling company, we can execute all aspects of your kitchen remodel. From creating the beautiful design of the space to handling all construction and installations, we can do it all. Our commitment to professional remodels and top-notch customer service has earned us a number of accolades throughout our years in business, such as multiple Best of Houzz awards. To learn more about the expert kitchen remodel services we offer to homeowners in the Richardson, TX, area, contact Star Home Remodeling today. One of our friendly and experienced associates will be delighted to answer any questions you have and learn more about what your dream kitchen looks like.